Nearly every initiate should by now have heard of the Ancient Astronaut Pakal. His tomb lid is infamous as the number one example of the mysterious powers attributed to ancient times. Did you know we must look no further than Egypt and King Tut’s chair to find a Magi connection? When you compare the two you can see what looks like fire beneath their chairs. Both of their feet appear to be in odd positions compared to how you would normally sit in a chair. Hands are the most telling they are obviously doing something with them. 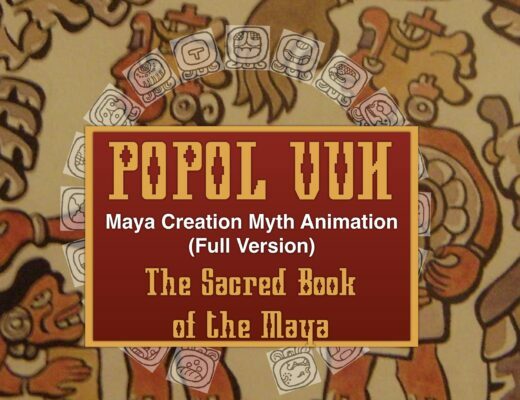 Some even say Pakal has his face to a breathing apparatus. Considering the many meanings of the Ankh it may also offer Tut the breath of life as well. Above them both are feathers and serpents but depicted in very different styles. Almost as if the Egyptian motif is much more serpent dominant where in Egypt it would be the Bird. 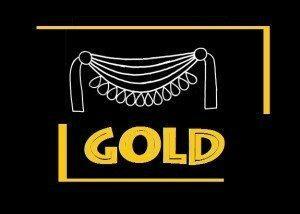 Initiates can see above the chair Tut is sitting on is also the glyph for Gold. This can include the alchemical meaning of gold to achieve bodily perfection or ascension to the light body. 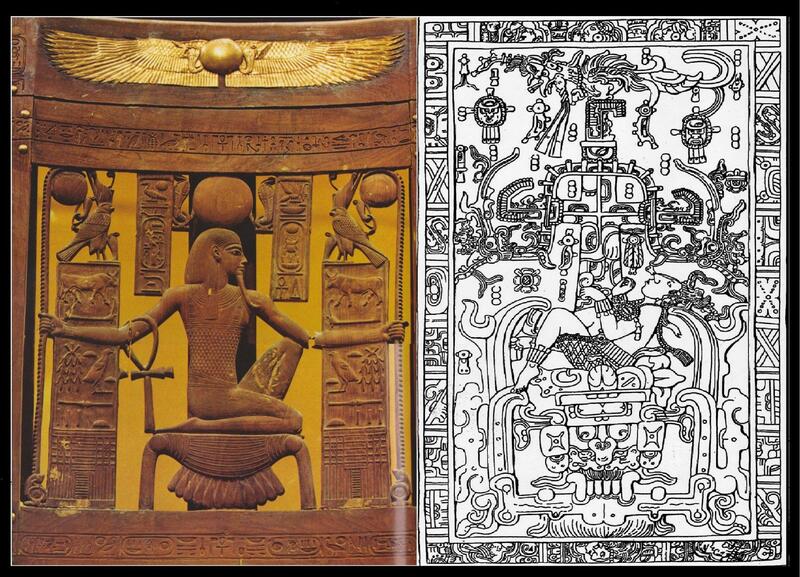 Then translations of Pakal tomb speak of this chair enabling him to transform and travel as well. Almost like these chairs could be used to hack in or out of a spiritual matrix. Next you add into the equation there parents. Tut’s father was Akhenaten and Pakal Mom was Sak K’ uk’. Both of them hand the elongated skulls and debate remains on their complete lineage. Tut and Pakal took the throne very early even before their teens. Both had elongated skulls and issues with their spinal cord. One of them had advisor named Maya while the other advised the Maya. Both of them were involved with the priesthood. Both were involved with sun fertility wore feathers on their hat and wrote new secret glyphs. 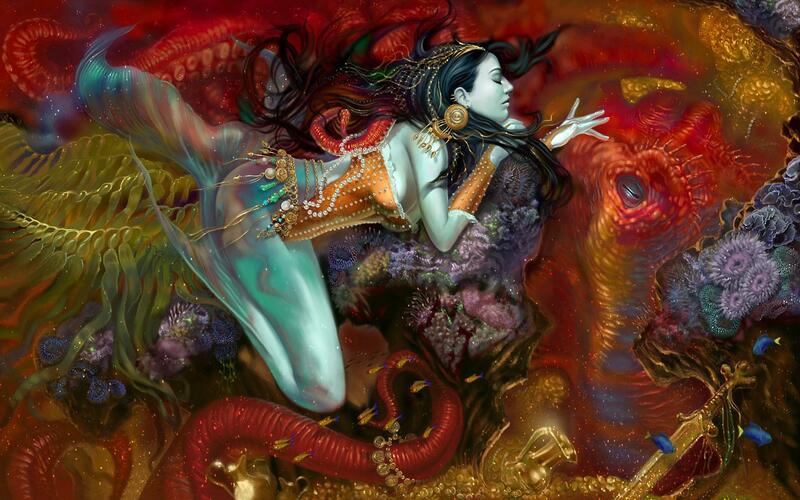 Both were represented with a flower and serpent. Tut was depicted with the winged disk while Pakal means shield. In Egypt Tut was also given the name Maya meaning “world of illusion” while Pakal taught that life is an illusion. What would the Adept Initiate say now when these two chairs are compared? Are there any Magi connections between them ? Or should we continue to believe these cultures were completely isolated from each other.